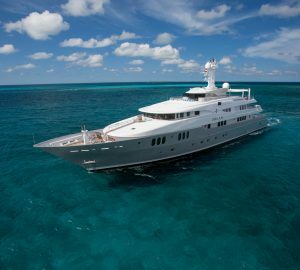 39m/129ft luxury yacht LIONSHARE is ready for cruising the beautiful charter grounds of the Bahamas and Caribbean this winter. 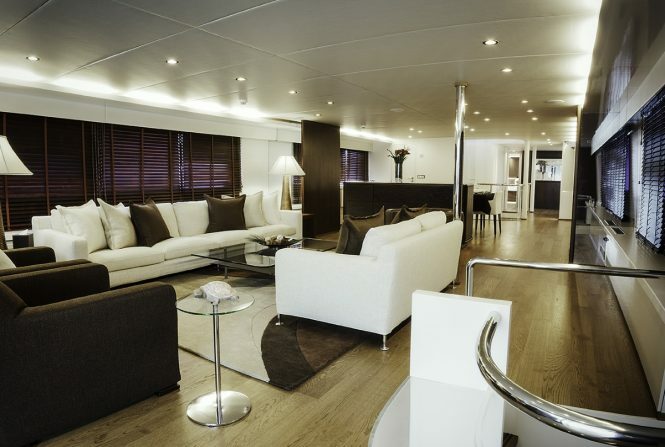 Built by Heesen in 1987 and last refitted in 2017, she features the exterior design and engineering of Mulder Design, while Art-Line completed her contemporary modern interiors. 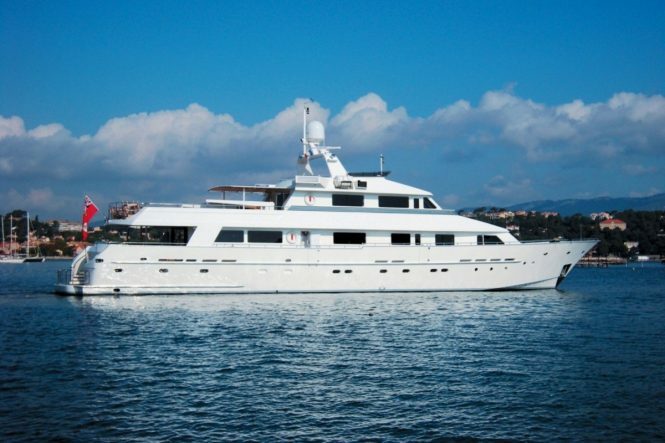 Among her amenities is an outdoor cinema and a Jacuzzi. 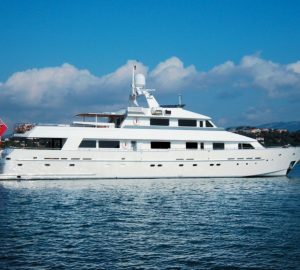 Luxury yacht LIONSHARE has received a repaint outside and in, with new luxury soft goods and great new water toys added to her tender garage. The main salon is a warm and inviting space, carefully maintained to provide guests with understated elegance and plenty of space for friends and family members of all ages. Forward of the main salon, the formal dining area offers a stately setting perfect for special celebrations such as New Year. After a sumptuous meal, head out to the main deck aft for a drink at the bar, then relax in the shade and watch the wildlife pass you by. The skylounge offers guests an alternative recreational space that offers a serene environment for relaxation away from the main group. Dine alfresco on the upper deck aft and admire the twinkling lights of the mainland at night while enjoying a mouth-watering meal prepared by your expert chef. 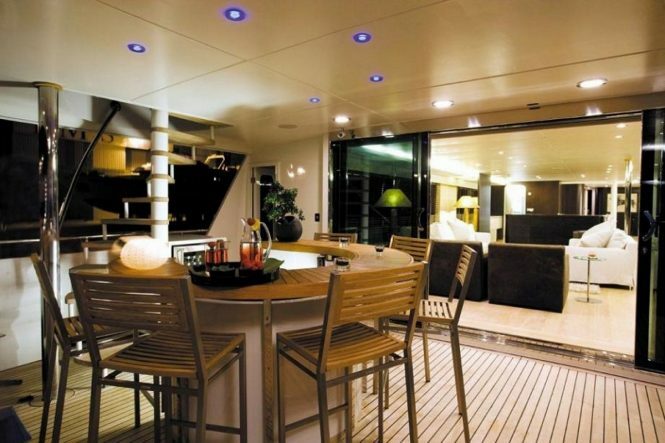 Night or day, the sun loungers and stern seating are a great place to rest and socialise outdoors. Up on the sundeck, guests can lie back and and sunbath on the sun pads, or ease tired muscles in the Jacuzzi while watching the stars come out in the sky. 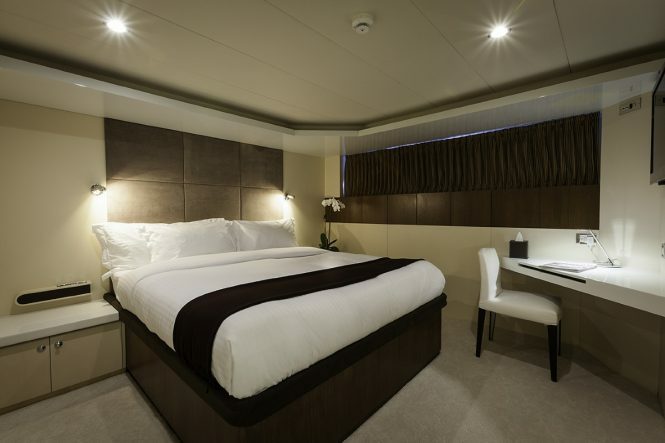 The accommodation is designed to sleep a maximum of 10 guests across 5 cabins: 1 Master suite, 1 VIP stateroom, 2 double cabins and 1 twin cabins. 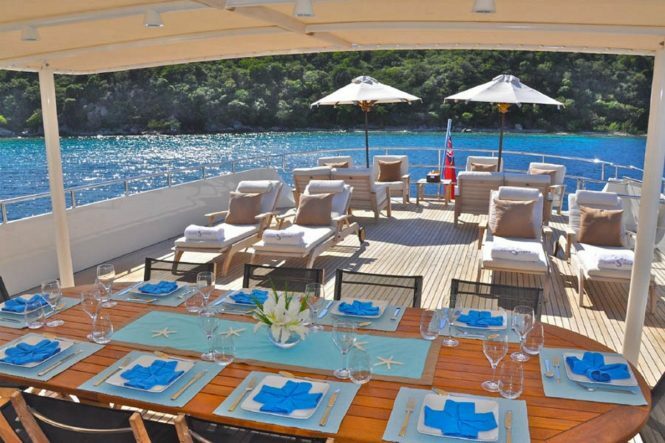 The expert crew of 8 will ensure that you and you group have everything you need for a relaxing and enchanting charter among the mangroves of the Windward Islands and the Leeward Islands. 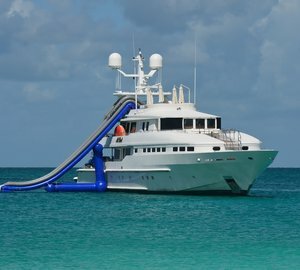 Motor yacht LIONSHARE is ready to make your holiday one to remember in the Bahamas and the Caribbean from $105,000-$140,000 USD per week plus expenses. Contact CharterWorld for more information and to make a booking today. 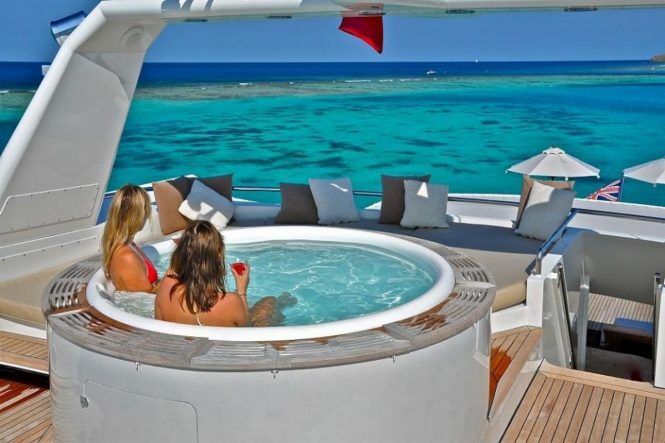 Please contact CharterWorld - the luxury yacht charter specialist - for more on superyacht news item "Savour the sunshine in the Bahamas and Caribbean with luxury charter yacht Lionshare".